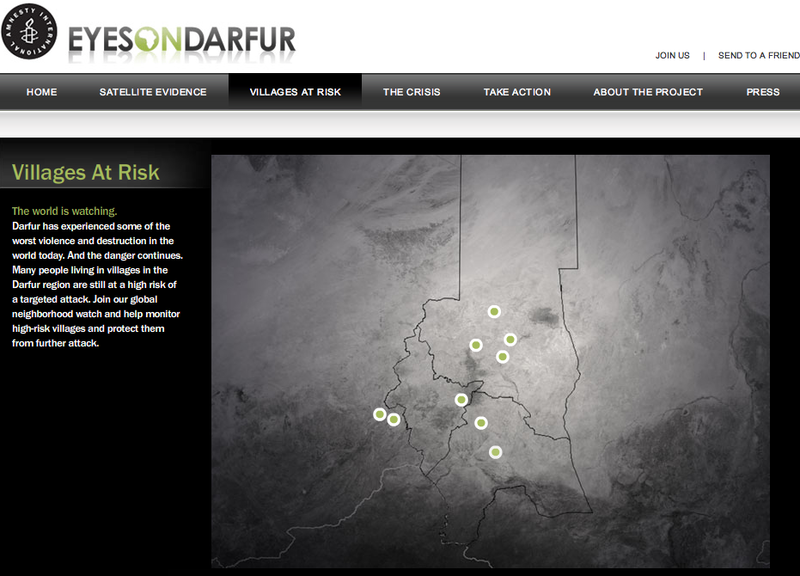 An update on Amnesty International’s (AI) “Eyes on Darfur” project based on my previous blog. At least two of the protected villages monitored by AI using very-high resolution imagery provided by AAAS have been removed from the site after reported attacks in the area, with updated imagery still being processed. The attacks in question were summarized by this UNHCR Report. This raises some important questions as noted by a colleague in a recent discussion: the bigger issue here is vital, all this geo-mapping is virtual, and while it may impact the real world that’s not a foregone conclusion; Would other NGOs, or perhaps a consortium, do better at the protective concept? And how? Namely, who can protect these villages and others like them? I will write another blog this week on precisely these questions, i.e., civilian protection.